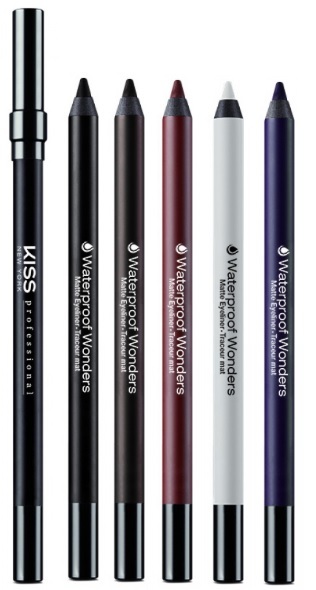 Kiss New York Professional Waterproof Wonders Matte Eyeliner - $12.99 - in 6 matte shades: Extreme Black, Black, Dark Brown, Burgundy, Classic White, Rich Deep Blue - with a soft and creamy, highly pigmented formula that glides on silky smooth, blends easily and offers 36-hours of wear with no smudging, flaking or transfer. 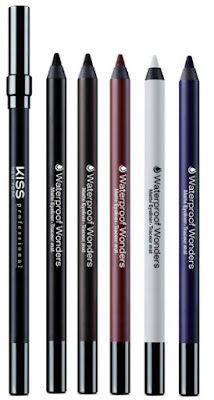 Kiss New York Professional Dual Ended Sharpener - $3.99 - quickly and easily adds a crisp rounded tip to 8, 10 and 12mm pencils and comes equipped with cleaning stick, adaptor and shaving container. Available at Rexall and London Drugs stores across Canada and online at londondrugs.com.